The 2016 BASRaT Symposium was very well received. Delegates benefited from thought provoking speeches and hands-on, practical workshops, providing knowledge to enhance their work. Richmond Stace opened with a look at what pain is, why we have chronic pain and what the influences of pain are. Richmond raised interesting questions on how pain can be perceived as good after exercise – ‘no pain no gain’ and when this actually becomes pain. Richmond focussed on communication in terms of creating the right environment and how we act as clinicians can help patients to open up. This can lead to resilience and give the patient ways to deals with pain based on their own information from communication. 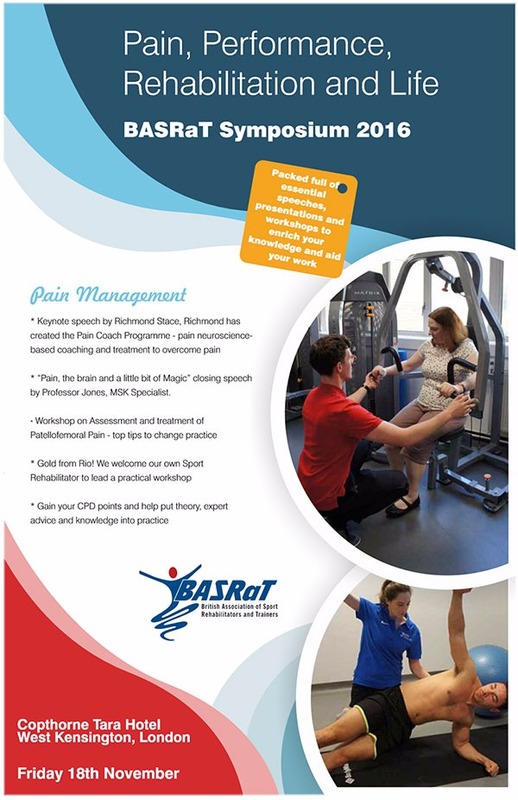 Richmond’s presentation gave us step by step advice to help patients deal with their own pain. 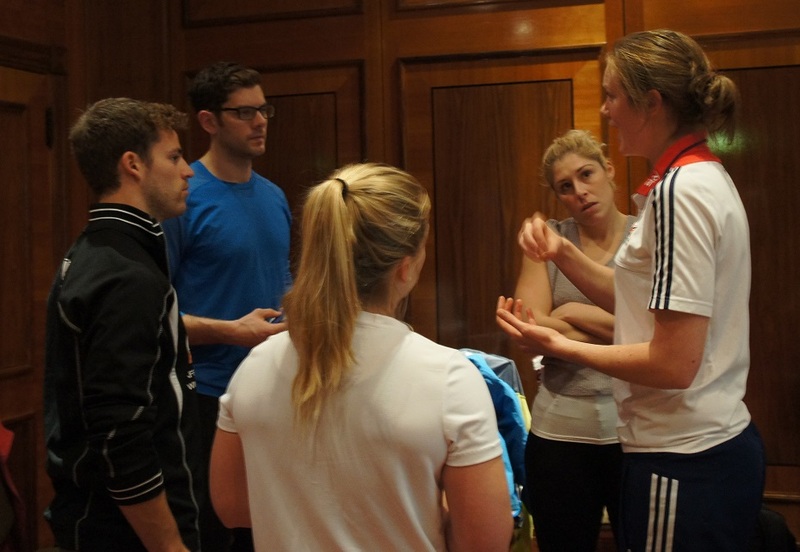 Hannah Crowley shared exclusive strategies and working practices from British cycling in the lead up to the Olympics. Hannah shared rehab planning and a thorough training programme that was informed by the ‘performance outcome’. We benefited from hearing how training was planned for rehabilitation of each part of the body - post operation to Olympic Games, in only eight weeks. We learnt how the emphasis of rehabilitation was formed from the performance outcome. Hannah also shared the benchmarks on how to make the call on whether an athlete should train with an injury. In the second half of her workshop, Hannah led an informative hands on workshop. Anthony Jones keynote looked at types of pain processing, types of clinical pain and pain pathways. Anthony gave fascinating examples of patients who perceived they were in pain but were not suffering from pain and those who had gained injuries without realising, who hadn’t been in pain. Anthony described medical and lateral pain pathways and chronic arthritic pain versus acute experimental pain. Anthony described how pain perception is shaped by anticipation and how mindfulness therapy can make a difference. Richmond Stace presented a follow on workshop, looking at the initial consultation, delegates found it interesting and thought provoking. Claire Robertson presented a popular workshop on ‘top tips to change your practice on assessment and treatment of Patellofemoral Pain’. Julie Hayton gave a fascinating and insightful workshop on “1065 days – A true story of pain to Performance” looking at Shaun Barker, a professional footballer who suffered a horrific knee injury rupturing his ACL, PCL and MCL. The surgeon described it as one of the worst injuries he has ever seen. Julie delivered an overview of Shaun’s recovery and the hurdles Shaun and the treatment and performance team overcame to return him to the sport he so desperately wanted to play again. Details on the BASRaT Symposium 2017, including a hugely exciting keynote, will be released soon. Our Symposium this year will focus on pain; with unmissable keynote speeches from experts in the field and presentations and workshops that will enrich your knowledge. Focussing exclusively on pain and all its forms and manifestations it will be vital for practitioners to help manage and manipulate pain and help people from all walks of life. Our unmissable range of speakers includes Richmond Stace who is leading advances in understanding and treating pain and has created the pain coach programme – pain neuro-science based coaching and treatment to overcome pain, he has clinics in Harley Street, Chelsea and Surrey. Richmond will look into the importance of the first point of contact, how we can gain information from the first few words. We have a range of workshops including "Gold from Rio"- BASRaT Sport Rehabilitator, Hannah Crowley helped Ed Clancy on his road to recovery from a back injury and to his gold medal win at Rio. Our closing keynote "Pain, the Brain and a little bit of Magic" will be presented by Professor Anthony Jones. Professor Jones is an MSK pain specialist and leads the Human Pain Research Group. His talk will include identifying potential mechanisms for increased resilience to chronic pain and explain how existing therapies may modify these mechanisms. He will also outline how this understanding may be used to develop new brain-focussed therapies for acute intermittent and chronic persistent pain. This one day event on Friday 18th November will be packed full of essential speeches, presentations and seminars, enriching your knowledge and aiding your work. 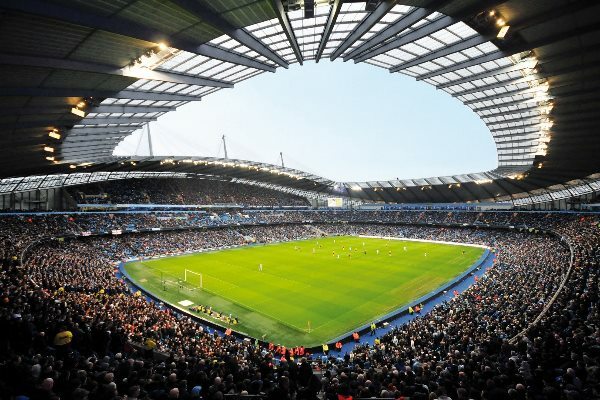 Preparations to this year's conference 'Prepare to Perform' are off to a flying start and we are pleased to announce that it will take place on Friday 20th November 2015 at Manchester City's impressive Etihad Stadium. Our keynote Speaker Ian Horsley is kicking the conference off and due to popular demand we have James Dunne returning with exciting new workshops. 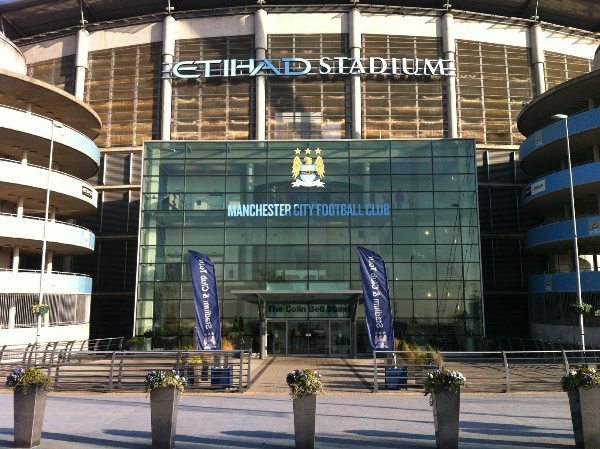 We also have cycling expert Richard Salisbury joining us as well as Man City's Head Physio Lee Nobes. This is definitely not an event to miss out on, there will be huge take home nuggets for you to implement in your day to day practice. For our early bird offers and more details please register your interest here. 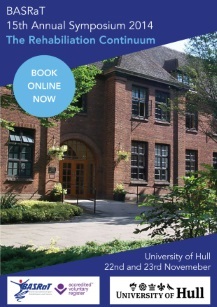 This year's annual symposium will be hosted by the University of Hull alongside BASRaT, it will include a brilliant and exciting list of speakers from both the UK and abroad, with both keynote speeches and engaging practical workshops it is a weekend not to miss! The conference is structured around a rehabilitation continuum with topics moving through from pain to late stage performance. The Saturday will include two seminars and two research presentations followed by a dinner hosted by the BASRaT Committee. The Sunday will include the Keynote lecture followed by a choice of 16 practical workshops and industry relevant exhibitors. This year to be hosted by St Mary's University College, BASRaT is once again organising a full day clinical symposium, to include the 2013 Annual General Meeting. "From Pain to Performance" is the title and the organising committee based at St Mary's have arranged two seminars for the day on Saturday 23rd (from 10am) and a social for the Saturday evening, leading into a full day of keynote lectures and workshops on Sunday 24th. Download the CONFERENCE SCHEDULE now. Please use our dedicated event registration site and BOOK YOUR PLACE NOW! 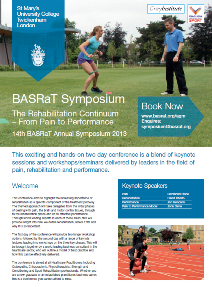 CALL FOR ABSTRACTS: The BASRaT Symposium 2013 will be holding a Research Wall for any current research in the field of rehabilitation. We are looking for students or practitioners who have recently completed research to put their posters forward. Successful candidates will display their research in A1 format on the Research Wall on Sunday of the conference. Candidates will also have the opportunity to answer questions from delegates regarding their research. A prize is on offer for the best piece of research. Please forward any potential posters via email for the attention of Clare Gibson or Conor Gissane at symposium@basrat.org. 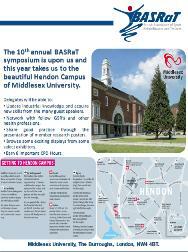 CALL FOR EXHIBITORS: Interested parties should email symposium@basrat.org for further details. Hosted by the University of Bolton. We were very pleased to hold an exciting programme for the 13th Annual Symposium, hosted by the University of Bolton at their new centre, 'Bolton One'. 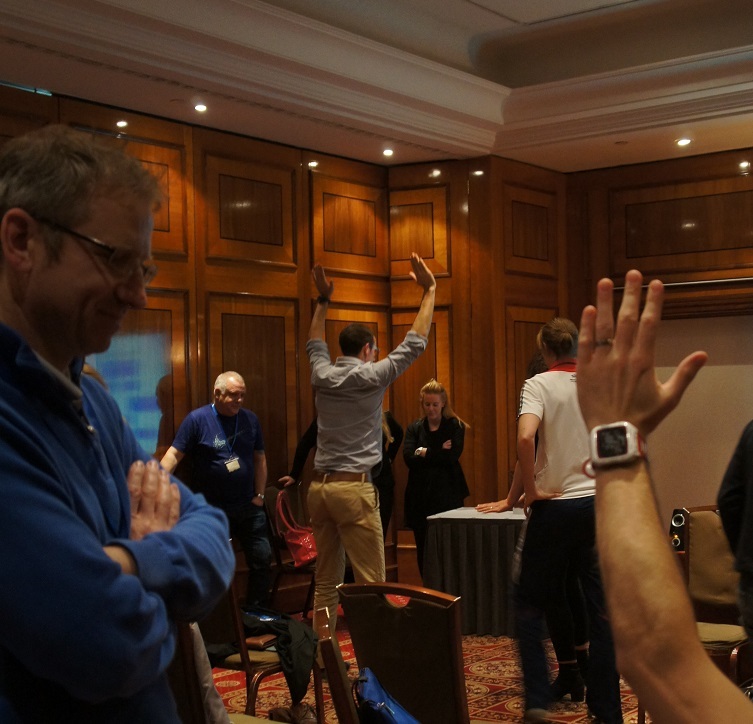 A choice of several break out workshops were sandwiched by two keynote lectures covering a wide range of topics including trauma care and rehabilitation, armed forces and amputee rehabilitation, functional hip masterclasses, applied pilates workshop and assisted neural rehabilitation. The BASRaT Annual General Meeting rounded the day off with a chance to hear more about the operations and developments of the organisation with presentations from the current and newly elected Executive Committee members. 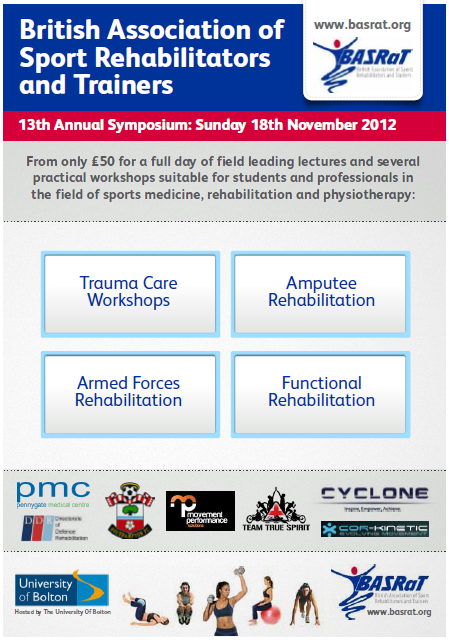 Please download the Symposium Programme HERE for CPD records or to see what you missed. We are developing a short newsletter to recap the day, come back soon. BASRaT were proud to hold the 2011 Annual General Meeting in conjunction with the UKsem conference (23rd to 26th November) at the ExCel exhibition and convention centre, London. The UKsem conference also hosts a number of internationally recognised speakers across all fields of exercise science and medicine including return to play, injury risk, doping in sport and ethics. Further details of the UKsem conference programme, location etc can be accessed at uksem.org. BASRaT Members enjoyed a much reduced rate for both the single day and the full conference. 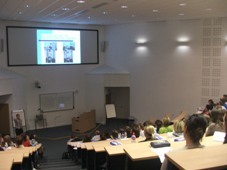 The conference for 2011 increased in size and the schedule boasted world leaders in the field of sport and exercise medicine and clinical biomechanics and surgery and rehabilitation. BASRaT returned to the University of Salford on Sunday 7th November for 2010, with a lecture from Dr Mike Ferrara of the University of Georgia, USA who spoke on his research and expertise on the subject of head injuries in sport; their prevalence, presentation and subsequent eveluation related to the timing of return to play. 'The Functional Shoulder' with John Richardson, a private practitioner who ensured the delegates moved their entire kinetic chain in unison with their shoulder girdle. David Sutton, a UKSCA Accredited Strength & Conditioner working at Moulton College, challenged the delegates to analyse 'Stop-Start, Techniques for Performance and Rehabilitation', which led to some interesting changes of direction and centre of mass movements; and finally a workshop focussing on 'Prehabilitation' with Nikki Mackay, of Moulton College, Nothamptonshire during which conference attendees were tested in their skills at designing suitable high load and skill exercises for landing efficiency. The BASRaT Annual General Meeting followed the symposium and detailed some exciting developments in 2009-2010 and prospects for the near future and beyond. For 2009 BASRaT held the Annual Symposium and Annual General Meeting at the University of Middlesex, Hendon Campus, North London. Over 100 delegates attended a day of lectures, workshops and presentations with the BASRaT Annual General Meeting following at the end of the day. Christian Poole gave the keynote lecture and led workshops on Functional Rehabilitation; Julian Hatcher led workshops on Manual Therapy; Rob Walsh covered aspects of deep muscle stimulation within rehab; Anna Everard led Orthopaedic assessment workshops and Brett Smith focussed on psycho-social aspects of Rehabilitation. This year introduced prizes awarded for research poster presentations and also for student achievement. The 2008 BASRaT Symposium and Annual General Meeting was held on Saturday the 8th November in the Mary Seacole Centre, within the University of Salford. There was a half day schedule of talks on the Saturday afternoon given by three different speakers. 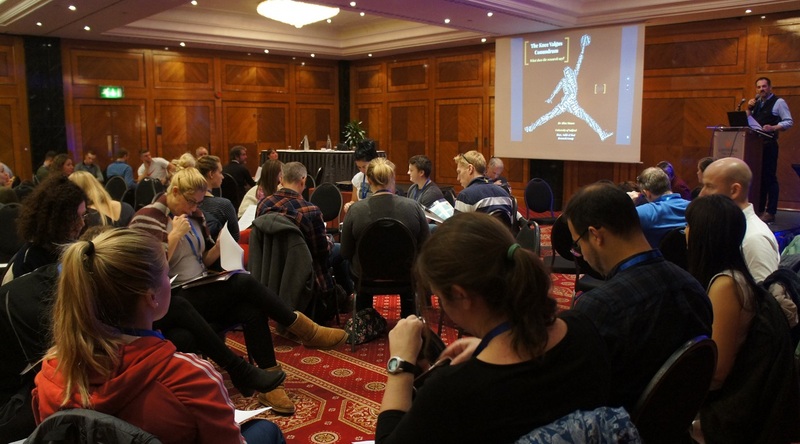 Ian Horsley spoke on topics surrounding accelerated rehabilitation of the shoulder complex; Andrew Lavender gave an orthopaedic surgeon's perspective on the 'Sporting Knee' and Paul Comfort addressed concepts of injury prevention in the lower limb. With over 125 BASRaT members in attendance each of the speakers encountered some interesting questioning and discussion. Following the short symposium Steve Aspinall led the BASRaT Annual General meeting and presented current positions on membership, state regulation, and insurance. The election of officers was notable as both Lesley Haig and Angela Cumine, two of the pioneers of the organisation stepped down from the committee after many years of long and unfaltering support for BASRaT.Azure. The 2007 Clinical Symposium was arranged in conjunction with sportEX; with the BASRaT Annual General Meeting being held on the Saturday of a 3-day sportEX conference, also in association with the Sports Massage Association. The conference was notable for the attendance of a wide range of specialists in the field of soft tissue therapy from around the world. Athletic Trainers from the United States and Canada and Physical Therapists from Australia and New Zealand. BASRaT had a good attendance overall and held the Annual General Meeting on the Saturday evening. Presentations from Steve Aspinall, the Chair, and Lesley Haig the Training and Education Officer gave an up to date insight into the application to the HPC and the ongoing international growth of the reputation of BASRaT and the profession of Graduate Sports Rehabilitators. This years Clinical Symposium consisted of insightful talks from Nicholas Clark (BEd, BSc, MSc, MCSP, MMACP, CSCS) around the subject of Plyometrics in the clinical and (p)rehabilitation of injury; Mr Glenn Hunter on current advances in hamstring injury research and Mr Andy Smith (BSc(Hons). MB. ChB. FCEM. MRCS(Eng). Dip IMC RCS(Ed)) on Pitch Side Immediate Care and the current and future state of qualifications. Members can download the presentations given by Glenn and Nicholas in the Members section within the Newsletter and AGM page. A large number of full members were buoyed by the attendance of a significant number of student members who thoroughly enjoyed a day of interesting talks and an AGM with discussions regarding the situation surrounding Sports Rehabilitation in the spotlight and the notion of state regulation. The 2005 Clinical Symposium and AGM was again held in Birmingham and produced a day notable for talks on knee ligament injuries from Mr McNicholas of Warrington, Hypermobility Syndrome issues from Jane Simmonds of the University of Middlesex and the question "Are we really that bad at rehabilitation?" by Mike Antoniades of Sport Dimensions, London. Exhibitors included Premier Sports Medical, Canonbury Products, Shrewsbury Medical, SKF, Anatomical Models and Human Kinetics. With lunch and refreshments, the day provided visitors, student, associate and current 'full' BASRaT members to be included in important decisions and discussions relating to the organisation and future development. The 2004 Clinical Symposium and AGM was held again in Birmingham. Talks by Mr S Jari - Current Practice in Chondral transplantation and Meniscal Repair in Knee Injuries, Dr. David Hughes, Pure Sports Medicine, London - High Ankle Sprain and by Steve Simbler - Pharmacology in Sports provided the usual high level of interest. Exhibitors included Premier Sports Medical, Canonbury Products, Shrewsbury Medical, SKF, Anatomical Models and Human Kinetics. The 2002 Clinical Symposium and AGM was held at the Reebok Stadium in Bolton, talks by Professor Christer Rolf - Ankle, Shoulder Surgery / Rehab and Mr Andy Rolls, Chelsea FC - Stress Fracture Management. The AGM was notable for a presentation of the redesigned website by Rik Mellor and Julian Hatcher. 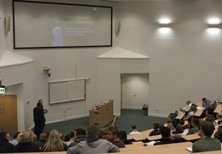 The first Clinical Symposium and AGM was held at the University of Salford - with a talk by Dave Hancock of Leeds Utd FC.